WPA: JOBS came about when Nomi Silverman, an Artist/Member of CCP’s Board of Directors, was approached by Lou Siegal to hold an exhibition at CCP of original prints, archival materials and tools of artist/printmaker Louis Schanker (1903-1981). Schanker was pivotal in the Works Progress Administration program for artists. The exhibition not only highlights works by WPA/FAP artists, but also the efforts of The Works Progress Administration (WPA) and the Federal Arts Project (FAP). Established in 1935 during the height of the Great Depression, the WPA and FAP were created by President Franklin Roosevelt to create jobs for citizens and help Americans find employment. The selected works of art will, through their imagery, tell a visual history of the economic hardships of the 1930’s and showcase how the WPA and FAP successfully raised the spirits of United States citizens. 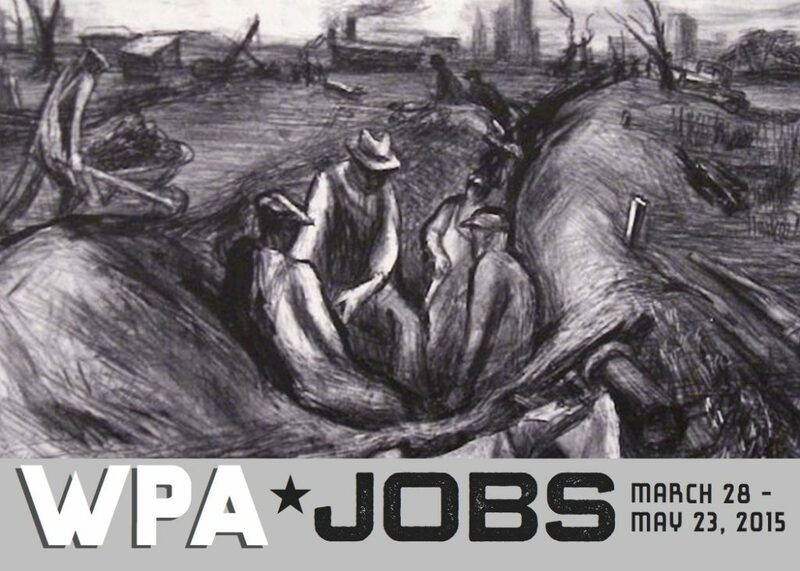 WPA: JOBS was co-curated by Director Laura Einstein and Nomi Silverman.